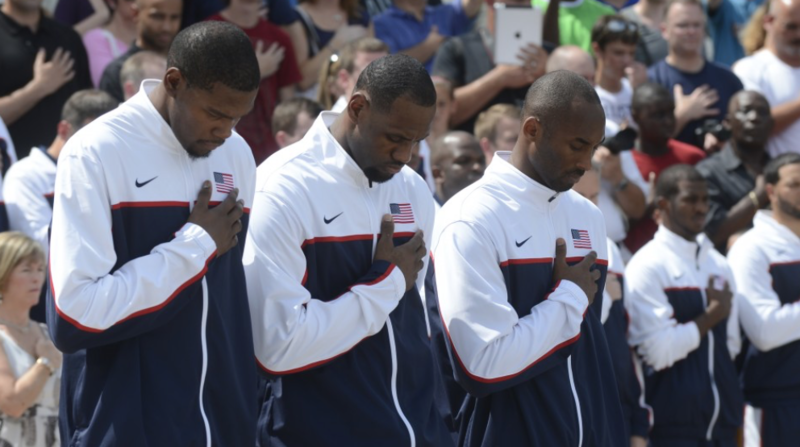 Former NBA player Kobe Bryant tells “The Undefeated” that if he were still playing, we would be taking a knee during the national anthem. “I would have participated in it for sure,” Bryant says when asked about the protests that started in the NFL with Colin Kaepernick. "And by the way, from my point of view, that's what the flag represents as well. The ability to speak, the ability to voice your opinion, and everybody is entitled to that. So everybody getting up in arms about it, they're certainly in their right to do that, as we're certainly in our right to protest — peacefully at that," Bryant later added. Of course, Bryant isn’t playing - so he will be taking a protest knee on the court about as often as he scores on this issue. Zero.